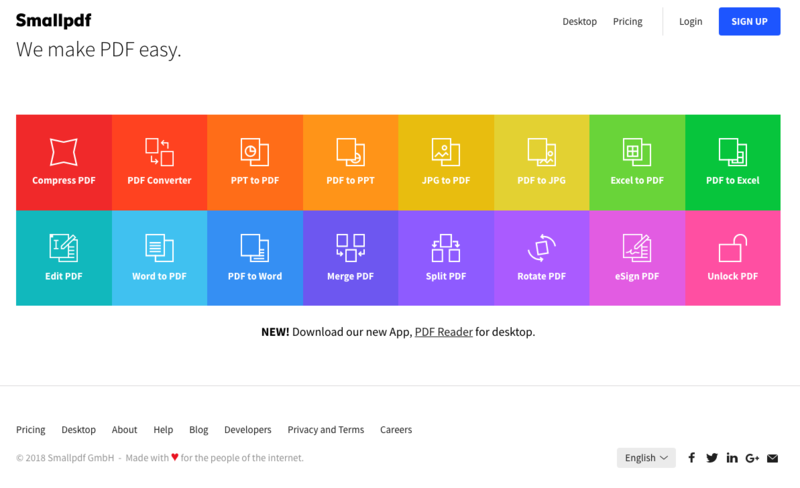 One of the best things that Smallpdf does is pdf conversion both to and from pdf. It is especially great to transform pdf tables into Excel documents. PDF splitting is really great since allows for cropping large files and just keep the information necessary; something that comes really handy when presenting information to your supervisors. PDF merging also works wonders, it allows for mixing several different pdf documents into just one of them. It is extremely easy to set up. This a really fast pdf reader, it feels really fast compared to other options that tend to feel clunky. Its workspace is super comfortable and well organized so finding a tool you need is always a simple task. They don't have a mobile app of this software. It does not provide document scan features like other apps. Sometimes I need this feature very badly. In PDF edition they have very basic tools only. Its usability in my work is very important. I have to share various documents with my clients very frequently and most of the documents I send them are in PDF format only. So I use this software very much to convert my Word and Excel files into PDF. And whenever I need to send large file to my clients, I convert them into PDFs and compress them with this tool and then I send those files to my clients. Smallpdf has never slowed down my computer, even when I'm running it combined with demanding software such as AutoCAD or Petrel (a common issue I had with Adobe). The pages load incredibly fast so it truly feels like you are reading on paper and the tools the software provides are top notch. I have never used a better pdf software. Its easy setup and easy user interface makes it easy to operate for many of my colleagues. I don't need to train them much for this software. So I started using it in my organisation. It helps me to keep my important documents in proper formats. And it saves lot of money by avoiding printing errors. With the help of this software I compresses important documents for my clients. And it adds lot of authenticity to my company. It helps marketing department to create beautiful and effective marketing emails. Those emails gives better leads and that reflects on revenue.